Roulette is easy and fun, and the rules are simple. Much like playing pokies online, the game relies more on luck than on skill, but there are plenty of chances to win big. American Roulette is played mainly in American casinos while European Roulette is played in other parts of the world. The only difference between the two is that the American variant has one zero and a double zero. The European variant only has one zero. Both variants have numbers ranging from 1 to 36 on the wheel, but the order of the numbers are different. Roulette players should always try to play European roulette if they have the choice, as the house edge is much lower than American roulette. The double zero does not change the way roulette is played, besides the extra zero. The odds in both variants are the same, but with American roulette the probability of winning changes because of the increase of the house edge. The bets placed are very similar but there are some types of bets that are not an option in both of the variants. One option is being able to bet on the double zero when playing American roulette. American roulette also has an extra bet, the five-number bet. This best covers the single and double zero plus numbers 1, 2 and 3. European roulette also has “called bets” also known as “racetrack bets” and these cover certain areas on the wheel or a set of numbers. 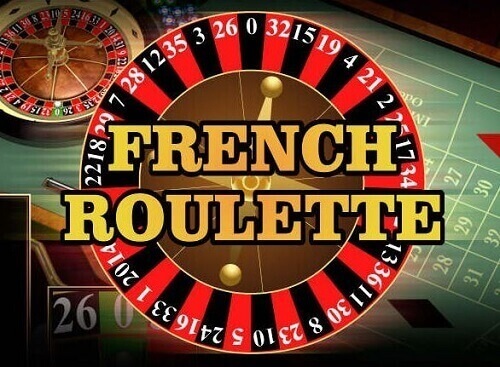 French roulette is very similar to European roulette. The only difference is the layout, which is a bit different, but the game is played in the same way. There are also a few extra rules called La Partage and en prison. These two rules are optional so not all casinos will offer them. La Partage is if a player has placed an even money bet and the winning number is a zero they will get half their bet back. En prison is if a player does get half the money back they may use the money as a bet for the next spin. If the player wins the next spin they will receive their full bet back, but no winnings are paid out. If the player loses the player will lose the whole bet. As mentioned the game of roulette has evolved in many ways since its origins and with the introduction of online casinos many new variants of the game have been developed. Some of the variants have a few extra or slightly different rules, but the basics are still the same. Mini roulette is one of these variants and can be found at most casinos. Mini roulette is really just a smaller version of roulette, but the wheel has less numbers and less betting options, otherwise the game is exactly the same. Multi-wheel is another roulette variant that has become very popular. Once again the game is played in the same way but players have the option of placing bets on multiple wheels at once. There are usually about between two and eight roulette wheels. Progressive roulette has a significant jackpot. Players make their usual bet as well as a bet, which will go towards the jackpot. As the roulette wheel spins the jackpot gets larger until a player wins. The game is played in the same way as the traditional game.